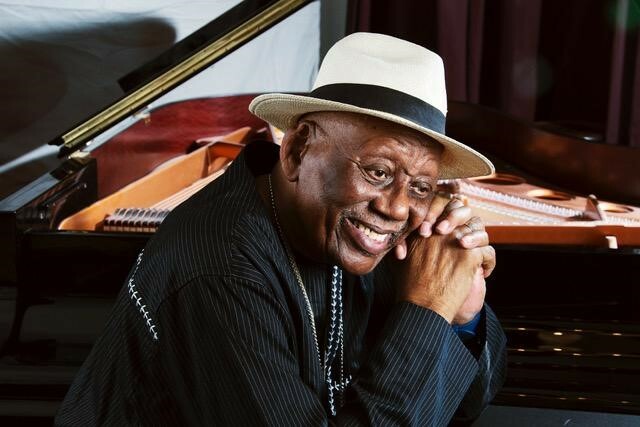 Before we get to the smallest of men, we want to talk about the biggest, master musician and Africanist, Randy Weston, who passed on September 1st at the age of 92. World-renowned for his musicianship, Randy was an educator and thought leader. Whenever he spoke, he made the connections between African rhythms, jazz and the expression of the essence of African people, wherever they are in the world. A larger-than-life figure, a generous spirit, he is remembered as a friend on pages 10-11. 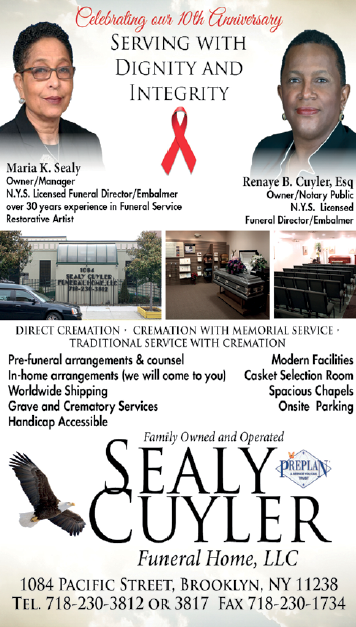 Funeral arrangements on page 11. Smaller and smaller this president becomes, whether he opens his mouth or keeps it shut. Asked multiple times to comment on the death of Sen. John McCain, he sat with his arms tightly crossed, with a facial expression and body posture that revealed an emotionally disturbed individual for all to see. He is a strange and very frightened man. Speaking to his white evangelical idol-worshippers, he warns that if the Republicans lose in November, the winning Democrats will turn to violence. When he says that, he’s really the one calling for violence. He wants what he once called “my second amendment people” to follow their paranoia. And when Trump’s “base” hears his endorsee for Florida governor Ron DeSantis saying, “Let’s not monkey this up,” speaking of the governorship and the African American Democratic Primary winner Andrew Gillum, they know they are with kindred spirits. So it’s okay if their blood runs hot. It is unfortunate that the baby boomers will not outlive the damage Trump is doing to the federal judiciary with his appointments of lifetime judges. Also, we will not outlive the damage to the environment or acceleration of climate change or the affect on the young lives ruined and twisted by separations from their parents at the U.S.-Mexico border. All of this done on our watch and it’s sad. What we thought was an ever-brightening future of freedom has been changed into something dark and foreboding. This man has lashed out at the Attorney General for indicting a Republican congressman, therefore hurting Republican chances in the midterm elections. Just the excerpts from the forthcoming book by two-time Pulitzer Prizewinner Bob Woodward paints a portrait of a mean-spirited man-child holding the Office of President of the United States. And now comes an anonymous op-ed by a senior White House official published in the New York Times, that tells of presidential aides working to save the president from himself and the country from the president. This is past “not normal.” This is a wide-awake nightmare that will shake the nation to the core. This is why ALL VOTES MATTER. Use it Primary Day, September 13 and in the general election November 6. This is why all votes matter. Use it Primary Day, September 13 and in the general election November 6.